Swarovski Lite Cream Pearls 6mm 59 inches long necklace with Japanese Glass beads as spacer it is unique attractiveness & fashionable flair to this stylish What is in this season? Check this out! 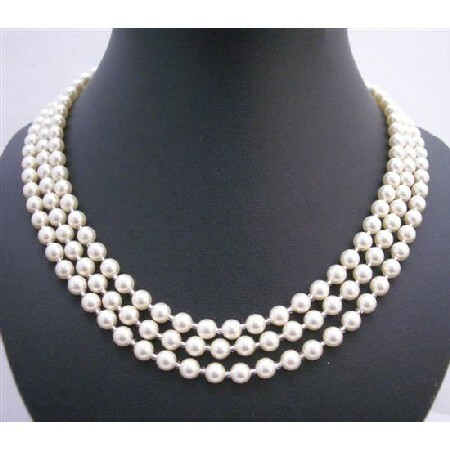 Swarovski Pearls Long Necklace we can wear double or tripple strands Necklace a trendy piece with bright beautiful a perfect piece for anyone to wear for a formal or casual occasion!.